There are few fields of study in the humanities or social sciences that remain untouched by the challenges which developed out of philosophy and social theory in the second half of the twentieth century, but British planning history is arguably one such area. To suggest that this is the case is not meant to be read as an attempt to damn the work that currently constitutes the field, but it is intended to underline that there remains scope for further work that would expand and multiply histories of British planning, perhaps unsettling but also enriching what is currently a rather singular field. The historical narrative which has dominated accounts of the emergence and early development of the planning profession first appeared in the doctoral thesis of William Ashworth, subsequently published in 1954 as The Genesis of Modern British Town Planning. In his account, the urban growth so definitive of the nineteenth century and accompanying efforts to shape the urban environment provided the backdrop for the emergence of planning at the start of the twentieth century. Ashworth drew on the reports of Parliamentary Committees tasked with examining questions such as public health and sanitation, explored slum clearances and infrastructural projects. He also emphasised the more immediate influence of ideas about amenity and the work of Patrick Geddes. 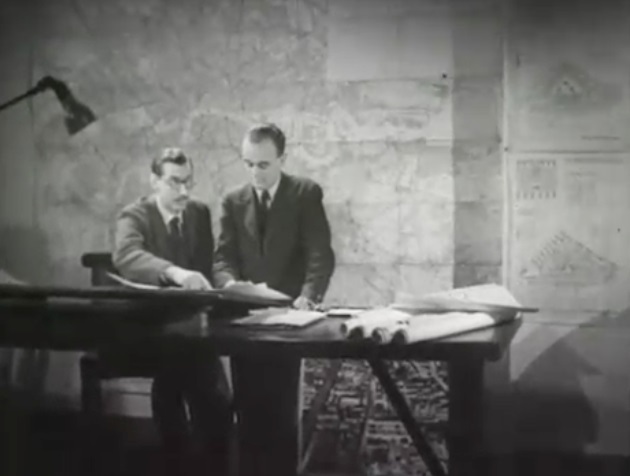 Ashworth’s account of planning’s history in the first half of the twentieth century took the form of an overview of key moments marking progress and culminating with the passing of the Town and Country Planning Act, 1947. His historical survey was punctuated by legislation, policy and the debates of key figures, such as Raymond Unwin and Patrick Abercrombie, who populated the elite circles of the profession at the time. Sixty years later, histories dealing with the emergence and early development of planning in Britain remain largely unaltered: the sources, the shape of the narrative and the approach that broke new ground when Ashworth first published his work in 1954, together with its themes, exemplars and emphases, will be immediately recognizable to anyone familiar with the field. Alongside that narrative there has also been a number of more focused and detailed accounts of those sites, individuals and turning points which the historical surveys themselves emphasize. Such additions provide useful examinations of key figures, such as Raymond Unwin and Patrick Geddes, and key sites, such as Letchworth and Hampstead, but they also largely continue to share the same approach and treat their subject without reflection on matters of, say, selectivity and narrative, avoiding all but the most cursory engagement with questions of power or theorizations of government. Within the last decade there have been some contributions to the history of planning in Britain that have begun to ask more challenging questions. Noah Rubin-Hysler’s study of Geddes tackled historiographical questions and made use of post-colonial theory, while Elizabeth Darling and Leslie Whitworth drew together a collection of essays that demonstrate women have, after all, been interested and involved in the development of the built environment. Yet welcome and valuable though they are, these contributions remain the exception. The dominance of the traditional approach, authored often by former practitioners of planning and/or those writing for students of planning, remains largely intact; certainly there has been little work in the field that engages either theoretically with the subject or critically with the uniformity of approach. In contrast, such consensus has not been maintained in North America where, from the late 1990s, planning historians engaged in wider debates about power and equality have become far more conscious of both the politics of history telling and the politics of past planning practices. While the difficulty of placing clear boundaries around the ideas and practices that constitute ‘planning’ is sometimes acknowledged, traditional planning historians have nevertheless tended to adopt a definition of their subject that privileges the thinking and activities of those few white, middle-class men who dominated professional planning during much of the twentieth century. Leonie Sandercock, a powerful voice in the unsettling of North American planning history, has argued that this decision to limit accounts of planning history to ‘chronicling the rise of the profession, its institutionalization, and its achievements’ has functioned to silence a much wider field of activity and it is clear from the work of Sandercock and her collaborators that the focus of planning history has been selective in its choice of what to include and exclude in its narrative. The selectivity of traditional planning history has extended beyond the failure to recognize the broader field of activity to encompass also a reluctance to include, and certainly an unwillingness to privilege, the experience of those communities who have been compulsorily removed from their homes in an effort to ‘treat’ poverty or that of minorities whose interests have been written out of, if they were ever recognized by, planning policies. Donald Krueckeberg made this point particularly clearly, arguing that conventional histories and the profession which endorses them consistently exhibits a blindness to the prejudices and prejudicial consequences of planning. The examples Krueckeberg discussed – histories of colonial South Carolina and the Tennessee river valley – demonstrate that this blindness has extended to cases where planning and planners have instigated or colluded with systematic and institutional racism or violence. This body of critique has developed largely through an examination of the history of planning in North America, but since planning in Britain shared many of the approaches and emphases, the critique might also have found resonance. Indeed, as Krueckeberg argued, ‘planning history’s mistakes’ are likely to have been repeated in national contexts around the globe, since international exchange in the early history of professional planning and, particularly, the trans-Atlantic interests of planning historians, mean that British and American accounts share many central themes and markers. In her landmark 1998 essay, Sandercock argued that in order to develop a critical history of planning it was necessary to redefine planning practice. She identified the potential to ‘create…a far more inclusive set of narratives’ through expanding understandings of what constitutes planning to encompass community building, which Sandercock suggests we view as an alternative tradition of ‘planning from below’. While it is the case that histories of the planning profession, particularly where they focus on the early phase of the profession’s development, will remain histories populated largely by the ideas and activities of a white, male, middle- and upper-class elite, I don’t agree that there is no potential for critical insight in this focus. On the contrary, what I want to start to explore in my recent article in Social History, ‘Ordering the urban body: professional planning in early twentieth-century Britain’, is precisely the profession of planning as a body of authoritative knowledge with a range of related and powerful practices. There can be no doubt that when planning emerged as a distinct field of professional knowledge and practice in the first years of the twentieth century it was remarkably ambitious. The work of designing the layout of urban centres – the distribution of buildings and amenities and the infrastructure that was necessary for transport and utility systems – was, of course, fundamental to the very notion of the planned city. But the planning profession in early twentieth-century Britain was concerned with far more than offering practical solutions to the problems of organising the built environment. At the core of the planning profession in its early years was also a series of arguments, made both implicitly and explicitly, about what kind of knowledge and practice planning was and the circumstances in which it could be realized. Some of those arguments were about the way the activity of planning should be related to the activities of the state, about the kind of formal power planning should command. Others were concerned with the ability of planners to influence the social life of cities, inculcating a sense of citizenship and encouraging certain kinds of conduct through the vehicle of urban space. Planners tried to systematize ways of conceiving, studying and representing the city and its inhabitants, establishing in so doing the basis for the authority of the planning expert. Through their use of mapping and surveying techniques, and in the process of amassing and presenting large volumes of information about towns and cities, the planning profession generated a discourse about the nature of the city and its residents, defining as well as studying the subject of their work, constructing a body of knowledge that correlated with the authority of a new urban expert. 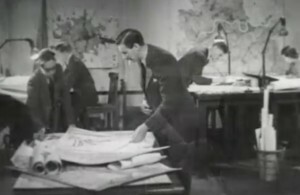 Thus, though planning in Britain was rhetorically linked, then and since, to progressive reform and structurally entangled with the nascent welfare state, planning was also a morally charged and powerful field of expertise which concentrated the process of theorizing, representing and building urban space, social life and its future in the hands of a few. It was a deeply ambiguous project, and one worth re-examination. Lucy Hewitt is an Urban Studies Research Fellow at the University of Glasgow. Her article ‘Ordering the urban body: professional planning in early twentieth-century Britain’ appears in Social History 41, 3, (2016), 304-318. For example, M. Miller, Raymond Unwin: garden cities and town planning, (Leicester, 1992); also Gordon E. Cherry, ed., Pioneers in British Planning, (London, 1981). Stanley Buder, Visionaries and Planners. The Garden City Movement and the Modern Community, (Oxford, 1990). N. Hysler-Rubin, Patrick Geddes and Town Planning: A Critical View (Oxford and New York, 2011); E. Darling and L. Whitworth (eds), Women and the Making of Built Space in England, 1870-1950 (Aldershot, 2007). L. Sandercock, Framing insurgent historiographies for planning, in L. Sandercock (ed.) Making the Invisible Visible: A Multicultural Planning History (Berkeley, Los Angeles and London, 1998), 3. D. A. Krueckeberg, ‘Planning history’s mistakes,’ Planning Perspectives, 12, 3 (1997), 269-279. L. Hewitt, ‘Ordering the urban body: professional planning in early twentieth-century Britain.’ Social History 41, 3, (2016), 304-318. This entry was posted in Uncategorised on 27th July 2016 by Grainne Goodwin.